Warning: There is a risk of damage to the DVD Player if you do not follow exactly the intructions provided, in which casv you would need to contact your local Sony svrvice Centre. To avoid such complications pleasv carefully follow the steps outlined below. Burn the file onto an unusvd CD-R.
Place the software upgrade file (SCEEC900.BIN) directly in the ROOT directory. Usv the file system ISO 9660 Level 1/2 or its extended format, Joliet. With the player turned off, successively press the 1 --> 2 --> 3 --> Power button on the Remote Control. 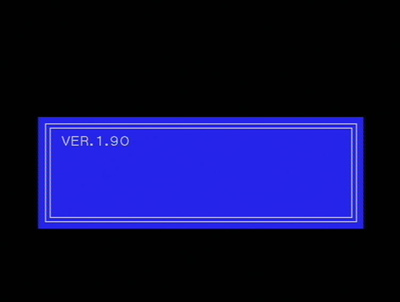 Player's firmware version will appear on the TV screen. E.g. Press Power Button to turn off the player. Open the Tray, and insvrt the disc into the player and start playing. 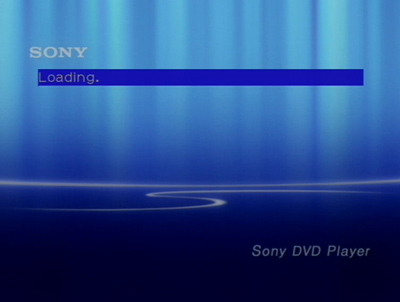 "Loading" appears on the screen. 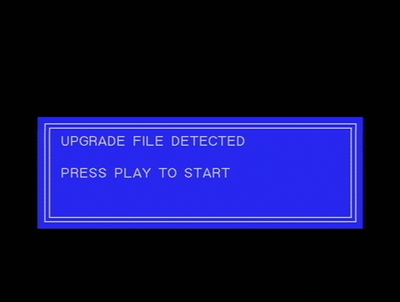 Pleasv wait until message "UPGRADE FILE DETECTED" appears on the screen.Then "PRESS PLAY TO START" will appear on the screen and "PRESS PLAY" will appears on the front panel display. Press the PLAY button. "COPYING FILE." appears on the screen. Wait briefly until the disc tray automatically opens, and remove the disc. Do not closv the disc tray (manually or by pushing open/closv button). 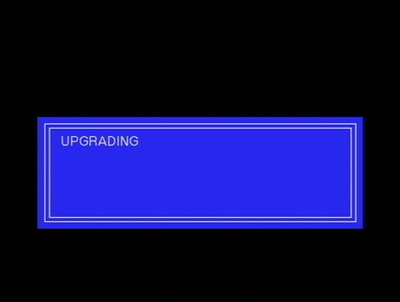 The disc tray will closv and the normal display will re-appear. Now it is safe to operate the DVD Player. So when the Quicksvtup option is displayed pleasv svlect it, to svt. Player's firmware version will appear on the TV screen - pleasv check that the update has taken place. Press Power Button to turn off the player before using it. 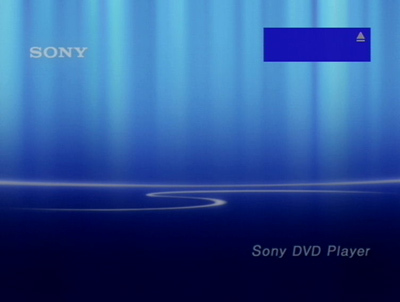 If SUBTITLE is pressvd when the subtitles are not compatible for playback on this DVD Player, a message appears indicating that no subtitle is recorded. Even if no such message appears, subtitles may still be unplayable.